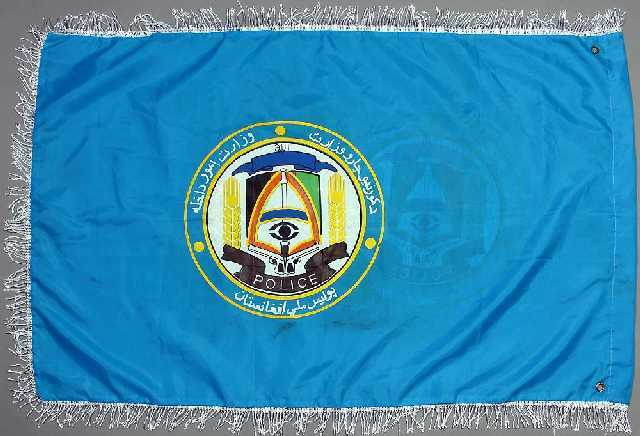 "Afghan National Police (ANP) flag, presented to 3 RIFLES on their departure from Helmand Province. The ANP is the national police force for Afghanistan, currently there are around 90,000 members and this is expected to reach 160,000 in the coming years. They are responsible for law enforcement and acting as the local civilian police." - from: http://ww2.durham.gov.uk, including photo of the Afghan Police flag.